The capital of Nova Scotia, Halifax, has enough museums, parks and patio restaurants to keep any visitor (or resident) busy for days. 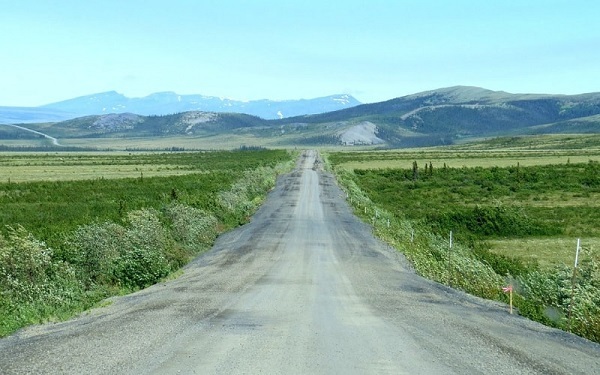 However, the surrounding area has too much on offer to miss! Lunenburg is a colourful port town with more history, unique architecture, maritime cultural and lobster rolls to shake a stick at. And it’s not just me saying so. The downtown area is a National Historic Site of Canada (designated 1991) and also a UNESCO World Heritage Site (designated 1995). Lunenberg was established as a planned British colonial settlement and became a major centre for fishing and boat building, best known for the construction of the fastest fishing schooner in the world, the Bluenose. If not familiar with the Bluenose, just have a look at the Canadian ten cent piece. 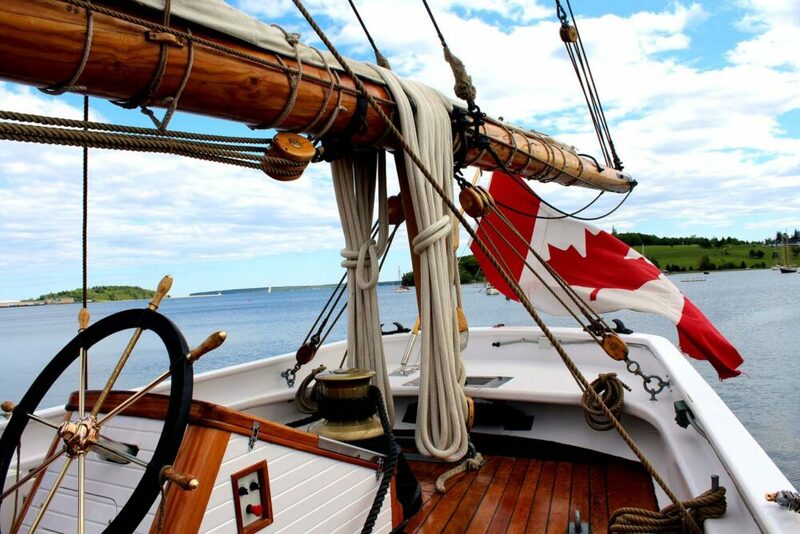 Lunenberg is still the home port for the replica, Bluenose II. Other attractions include the Fisheries Museum of the Atlantic and the Ironworks Distillery. 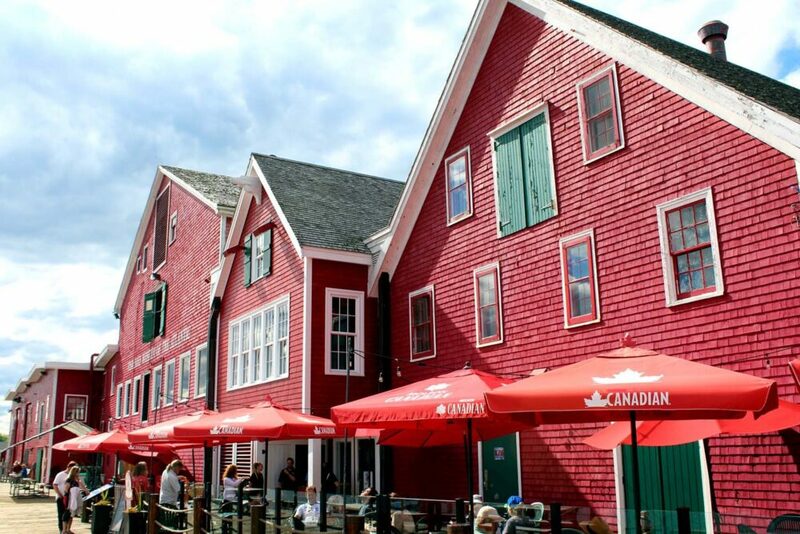 Alternatively, just walk the historic streets and waterfront and look for the ‘Lunenburg bump’ on the surrounding buildings; a dormer window that usually extends beyond the first floor. Just north of Lunenburg is Mahone Bay, almost a Halifax day trip of its own right. 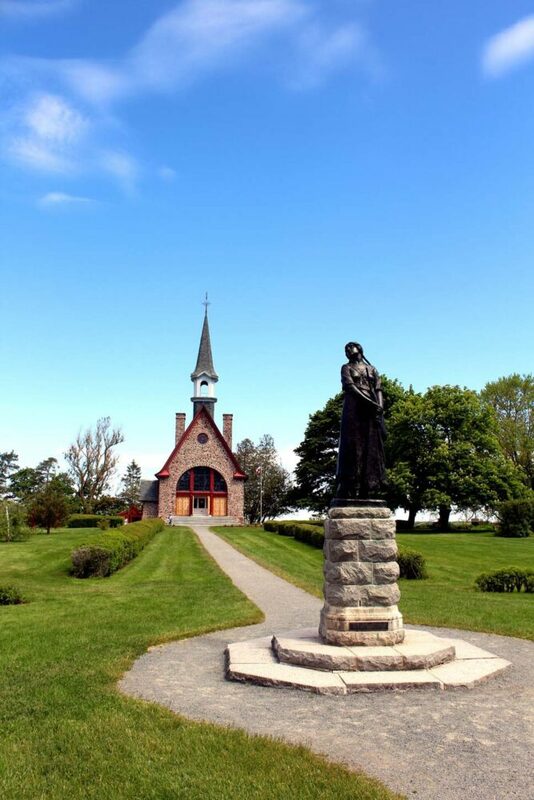 Mahone Bay is best known for three waterside heritage churches. South of Lunenberg, you’ll find Oak Island. 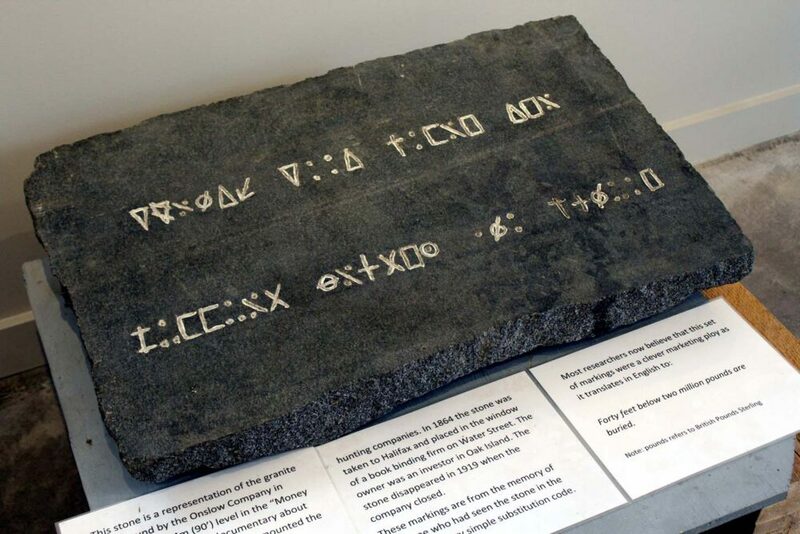 Those who watch ‘the Curse of Oak Island’ TV show will know that Oak Island is home to what must be the world’s longest treasure hunt. Visit the fascinating free museum to find out more! 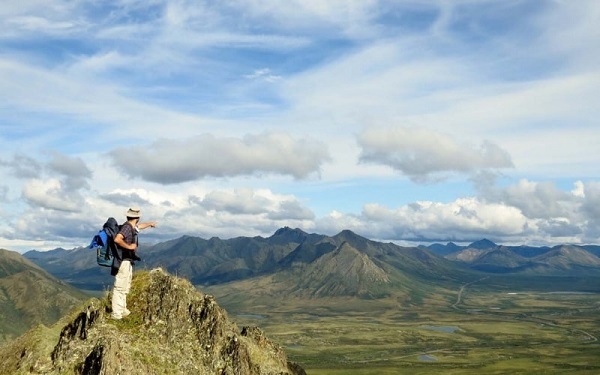 Tours are offered but places go very quickly, months in advance. 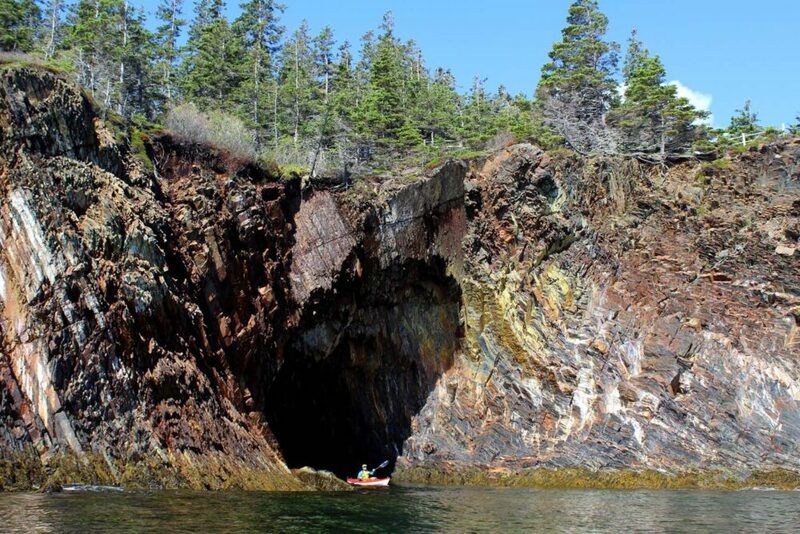 After reeling from the mysteries of Oak Island, head to Ovens Natural Park. 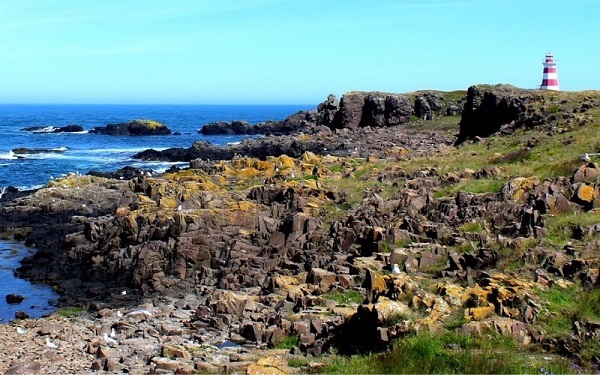 Not only perfect for an overnight stay should you wish to extend your day trip, there is a rugged coastal trail that dips and dives into several impressive caves. We launched our kayaks here to paddle back to Lunenburg, a wonderful 12km return trip that resulted in paddling next to the Bluenose II! A vibrant, artsy gateway to the bountiful Annapolis Valley, Wolfville is a must do day trip from Halifax if you like to try local food and drink. 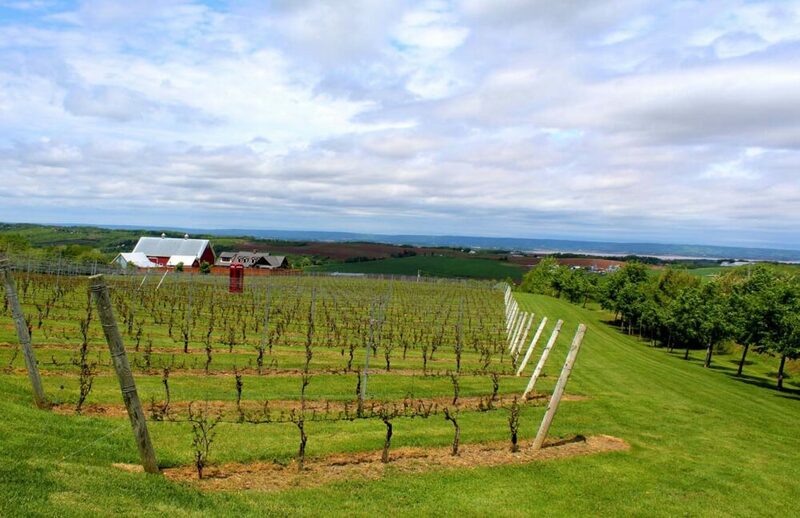 Tour the local wineries, visit the bustling Saturday Farmer’s Market, browse the independent downtown stores and walk the scenic railway path…there is plenty to do on a Wolfville day trip from Halifax. 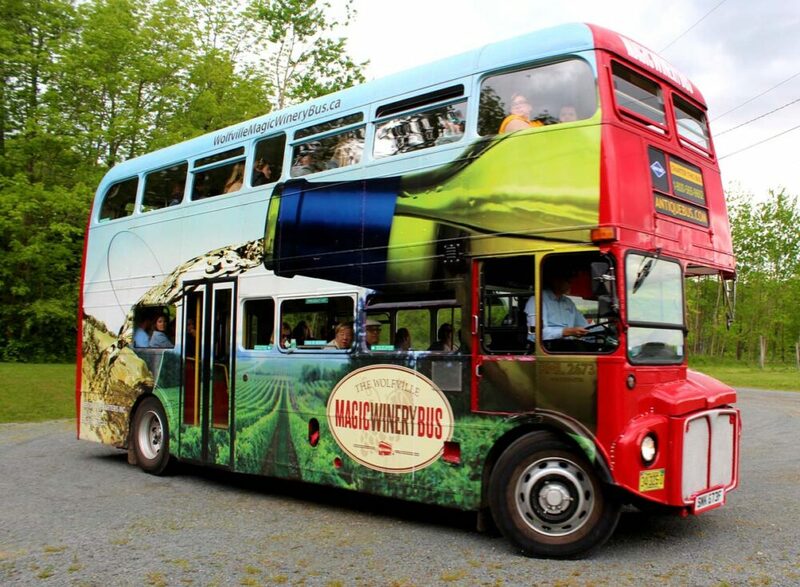 The easiest way to visit the many local wineries is with the Magic Winery Bus, a hop-on-hop-off tour with a difference. Learn about the unique growing conditions of this area while exploring the vineyards and sipping complimentary tasting glasses of local wines. There is a wealth of places and activities around Wolfville to add on to your day trip from Halifax. 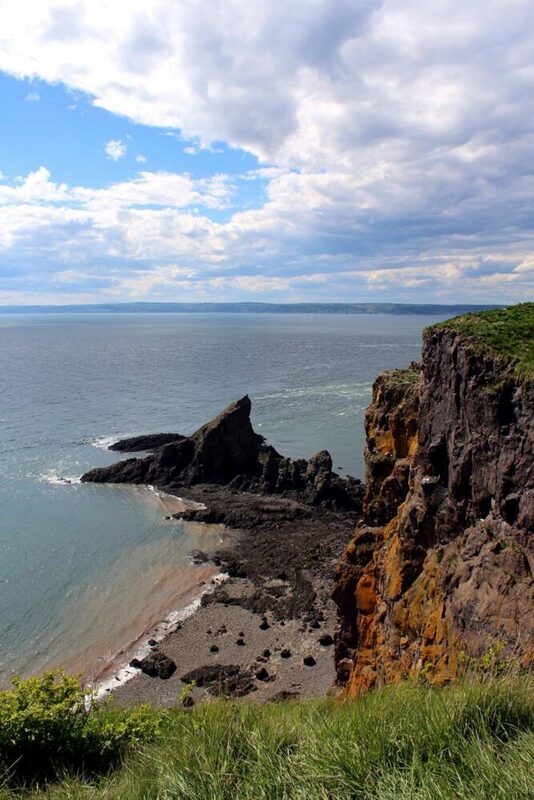 Two of my favourites have to be Blomidon Provincial Park and the hike to Cape Split. 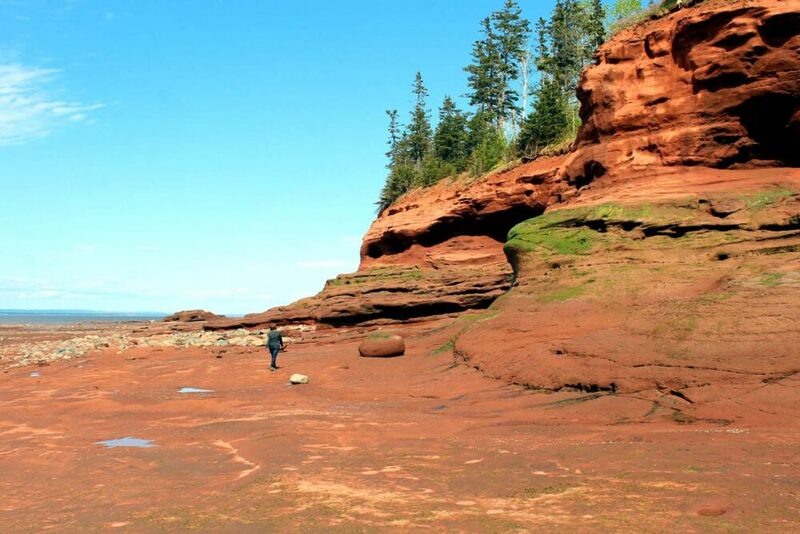 The latter is a 16km (return) long trail to a fabulous rocky point in the middle of the Bay of Fundy. 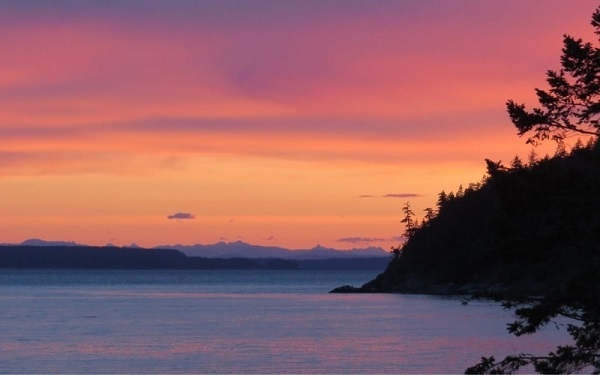 The former has shorter coastal hiking on offer plus a wooded campground. 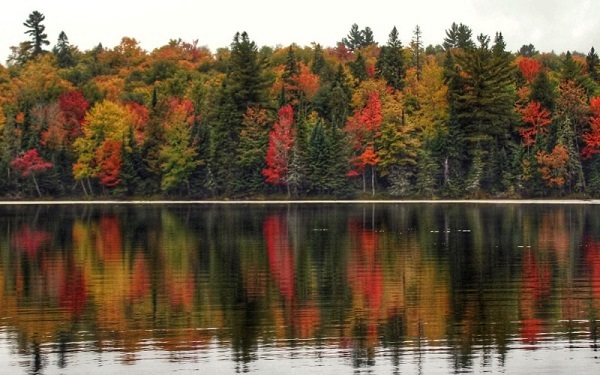 On the more historical and cultural side, head to Grand-Pré. The first European settlers of this area, the Acadians, were deported by the British in the 18th century. The museum and surrounding landscape (forever changed by the Acadians’ farming techniques) is both sombering and beautiful. This village may seem a surprise pick for a day trip from Halifax until I explain that it is the hub for tidal bore rafting in Nova Scotia. Tidal bore rafting is something of an unusual activity, involving riding the currents creating by the incredibly huge Bay of Fundy tides. When the tide comes in, the Shubenacadie River becomes a rollercoaster of standing waves and whirlpools. 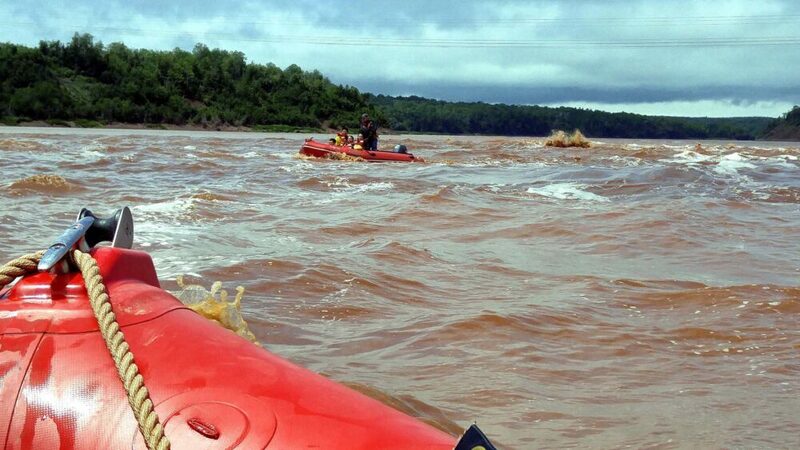 Tidal bore rafting is exhilarating, wet and quite hilarious. Most tidal bore rafting operators in the area also include mud sliding in their half-day Zodiac tours, which is just as fun as it sounds. Our tour with Bara Whitewater Rafting was fantastic; our guide Jeff was determined to find the biggest waves for us (and find them he did! A smaller operator, Bara has fixed priced rafting tours, no matter what kind of tide is happening on the day (it can vary between low, medium and high). 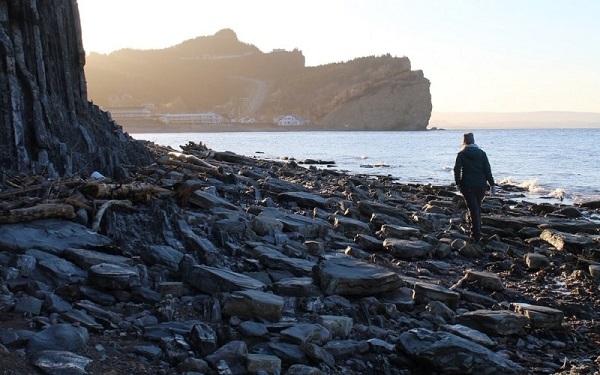 Head to the Bay of Fundy coastlien from Maitland to the curiously named Burntcoat Provincial Park to experience Nova Scotia’s answer to Hopewell Rocks in New Brunswick. In truth, Burntcoat is actually a lot quieter and easier to access than its counterpart across the water. The tides in the Bay of Fundy are the biggest in the world, reaching 12m at the highest point. When the water has gone, rich red ‘flowerpots’ are left – giant towers of rock topped with grass and trees. Don’t miss this chance to walk along the ocean floor! The Eastern Shore is just a short hop away from Halifax but it’s a fair bit different in pace. There are no busy tourist traps here, just plenty of authentic fishing villages. The number one thing to do on the Eastern Shore? Go surfing. The waves are the best on Canada’s East coast. There are a number of surf schools available for lessons. Good surf also means great beaches. 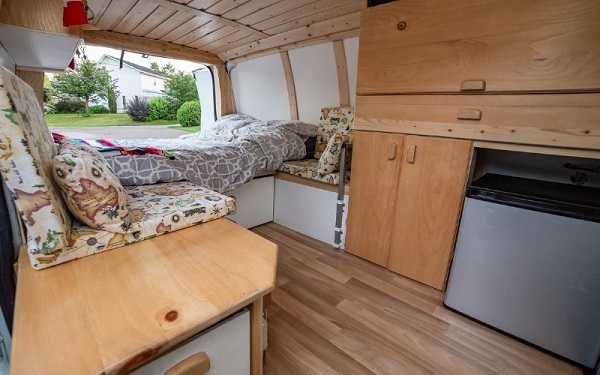 There are plenty to choose from but those at Martinique and Lawrencetown were our favourites. OK, so the Atlantic ocean isn’t the warmest to swim in, but when things look this beautiful, does it matter?! If surfing and beach hopping isn’t your thing, how about taking a step back in time? The Memory Lane Heritage Village brings together a collection of 1940’s houses and businesses in the small town of Lake Charlotte. 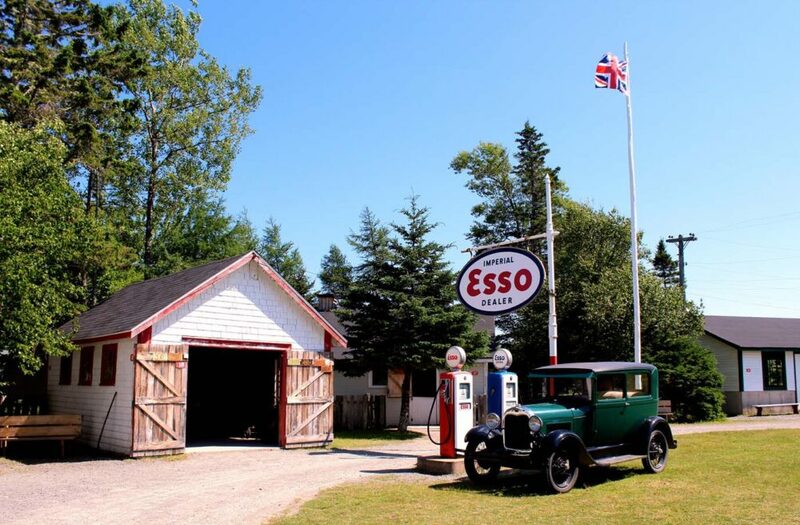 Costumed staff and volunteers bring the place to life, the highlights of which have to be a ride in 1928 Ford Model A, meeting the farm animals and getting a filling lunch from the old style cookhouse. The Heritage Village is a real testament to the power of community and volunteers. 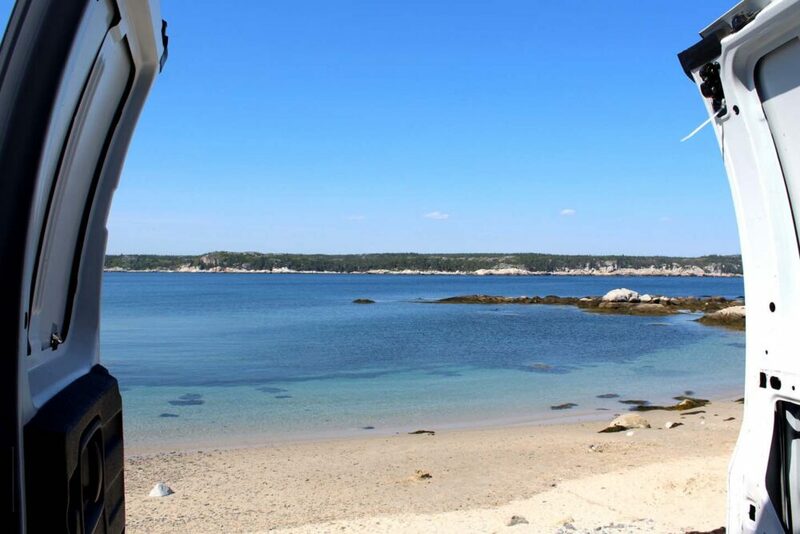 If the period lunch at Memory Lane doesn’t suit, take a short drive and have a go at clamming at the aptly named Clam Harbour (the beach is beautiful here too). 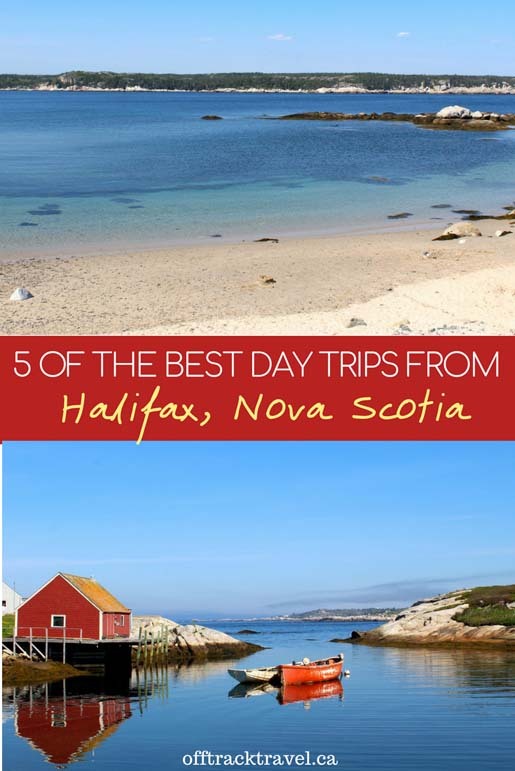 Of course, I couldn’t not include this classic day trip from Halifax. 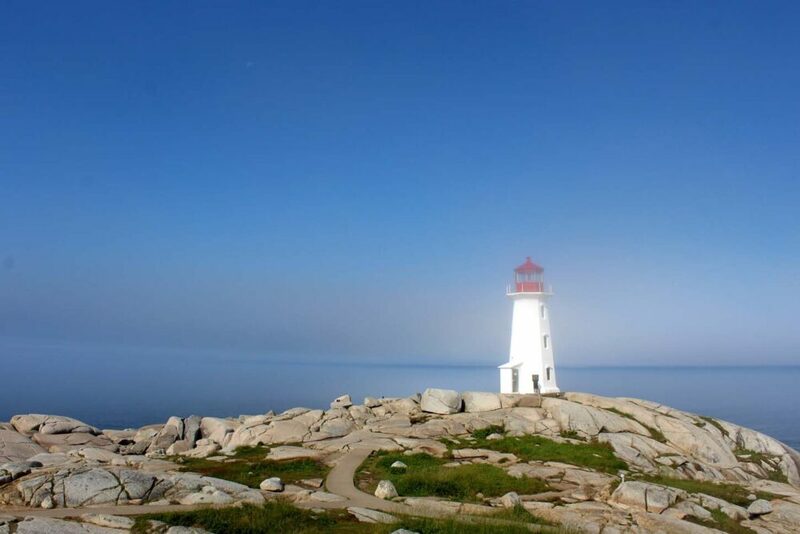 The smooth granite rocks and iconic lighthouse of Peggy’s Cove are a must see while in Nova Scotia, even if you prefer off the beaten path places like us. There’s no doubt about it though, Peggy’s Cove is busy. To avoid the crowds, go early – 8am kind of early. The drive is quick out of Halifax at this time (about 45 minutes) and you’ll only run into some dog walkers and a few other early bird visitors once at the Cove. Don’t just get a snap of the lighthouse and leave though; take a walk around the colourful working fishing village and check out the impressively carved Fisherman’s Monument (near the Visitor Centre). 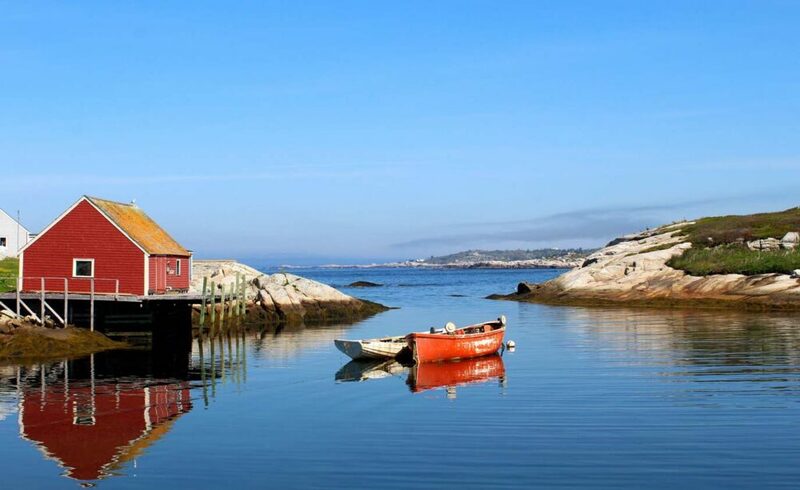 After checking out Peggy’s Cove, head to Terence Bay on the way back to Halifax or make a detour to Crystal Crescent. Both have beautiful white-sand beaches and aquamarine ocean water that could occupy the rest of your day. 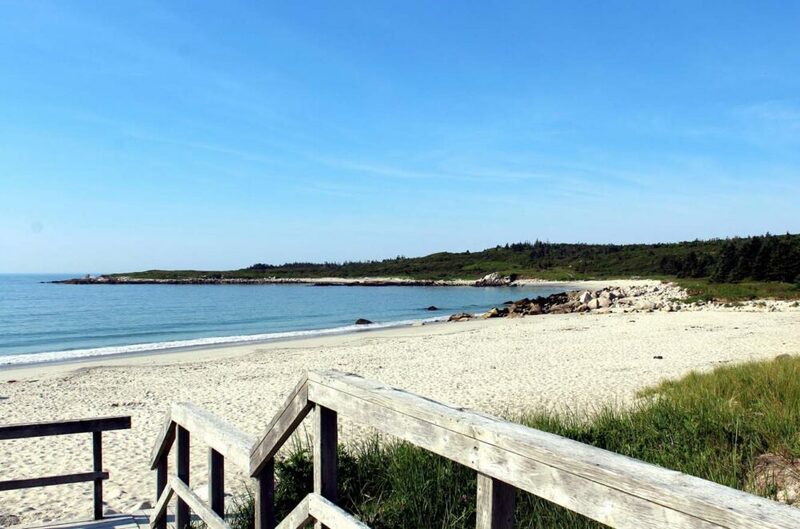 Crystal Crescent has three separate beaches with the third (and furthest) being a favourite of nudists (something we didn’t realise until arrival). Beyond here is a hike leading to Pennant Point. Terence Bay is a small coastal community with its own lighthouse-capped-granite-rock (a la Peggy’s Cove) just off Highway 333. 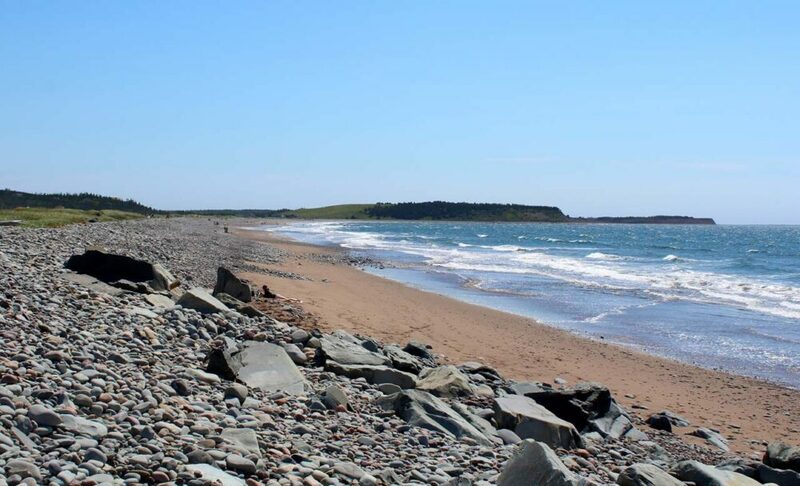 Aside from beauty, Terence Bay is also known for being one of the closest communities to the SS Atlantic disaster in 1873 in which over 500 people perished. There is an interpretive trail dedicated to their memory. 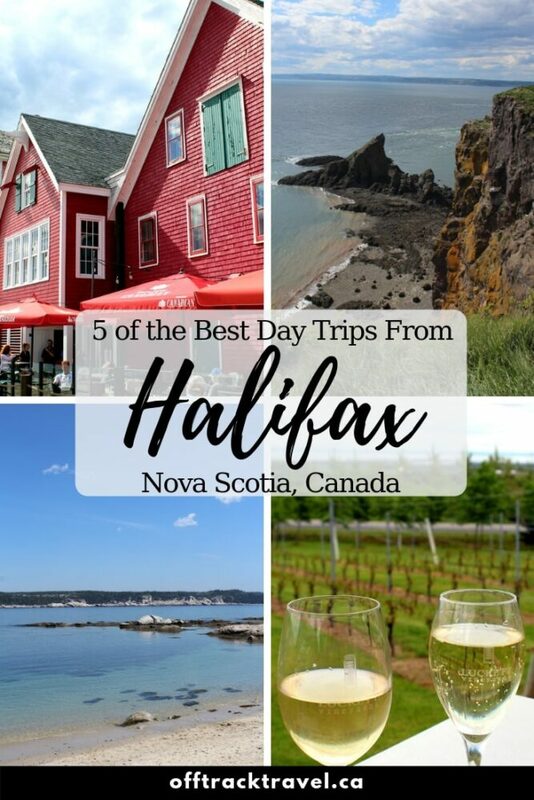 Looking to book a stay in Halifax?